New Zealand Post produced this issue of five gummed stamps and two adhesives. Also included in the issue were a miniature sheet, miniature sheet first day cover, and for the first time since 2005, a series of five postage-included souvenir cards (maximum cards). The maximum cards featured the champion's portrait, their stamps and an action shot. 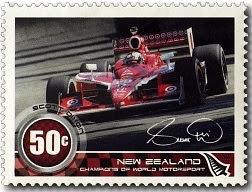 50c 'Scott Dixon' gummed stamp. 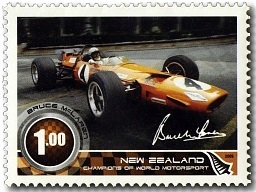 $1.00 'Bruce McLaren' gummed stamp. 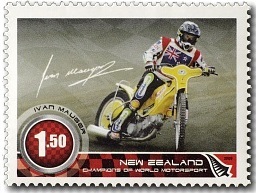 $1.50 'Ivan Mauger' gummed stamp. 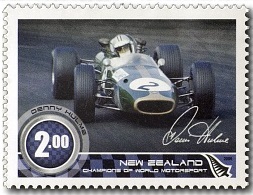 $2.00 'Denny Hulme' gummed stamp. 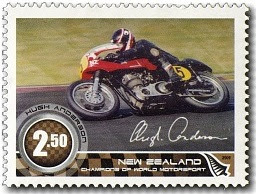 $2.50 'Hugh Anderson' gummed stamp. 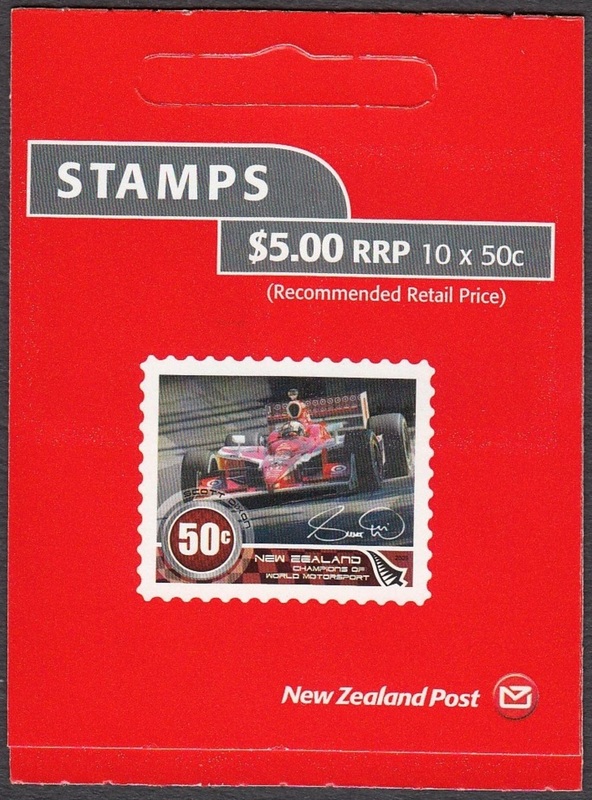 50c 'Scott Dixon' self-adhesive stamp. 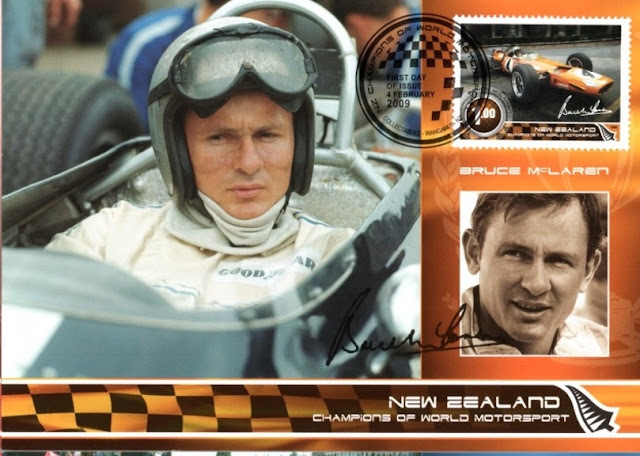 $1.00 'Bruce McLaren' self-adhesive stamp. 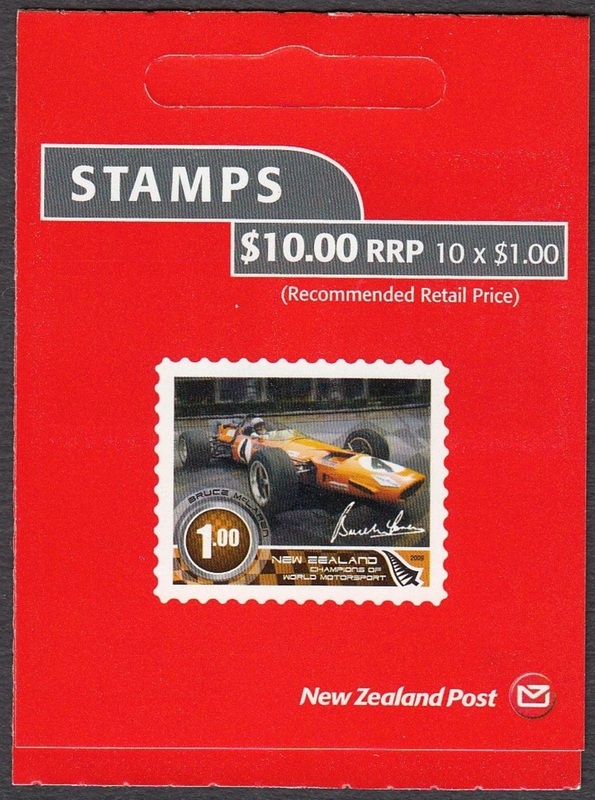 Miniature Sheet with one 50 cent, one $1, one $1.50, one $2 and one $2.50 stamp. 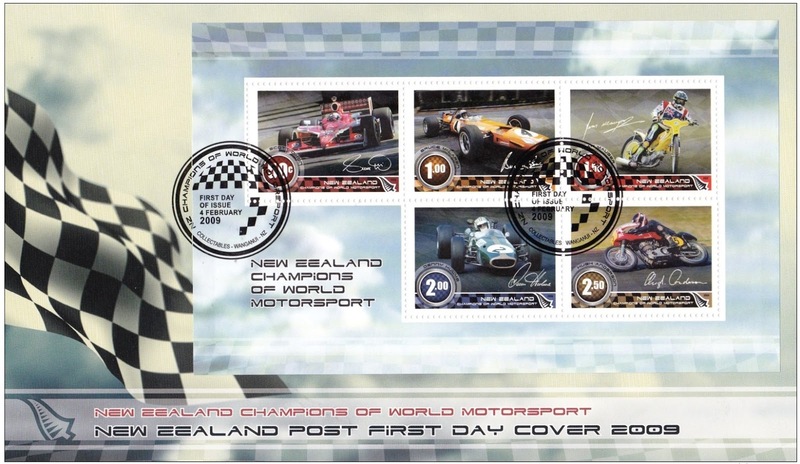 Miniature Sheet First Day Cover - 4 February 2009. 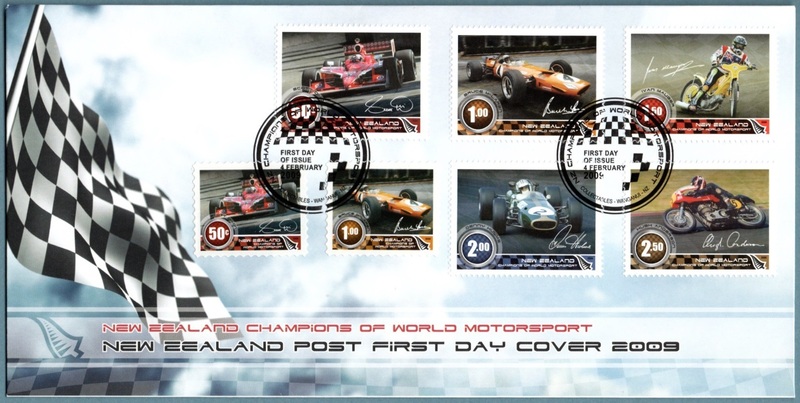 First Day Cover - 4 February 2009. 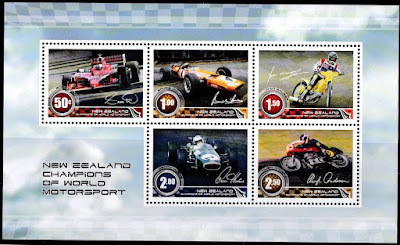 Set of five pre-paid postcards featuring a stamp on the front and artwork from the stamp issue. 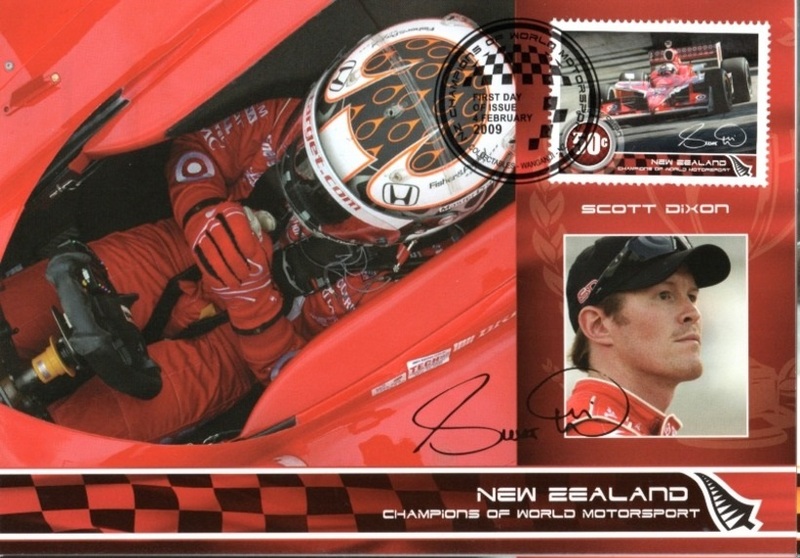 50c 'Scott Dixon' Maxi Card. $1.00 'Bruce McLaren' Maxi Card. 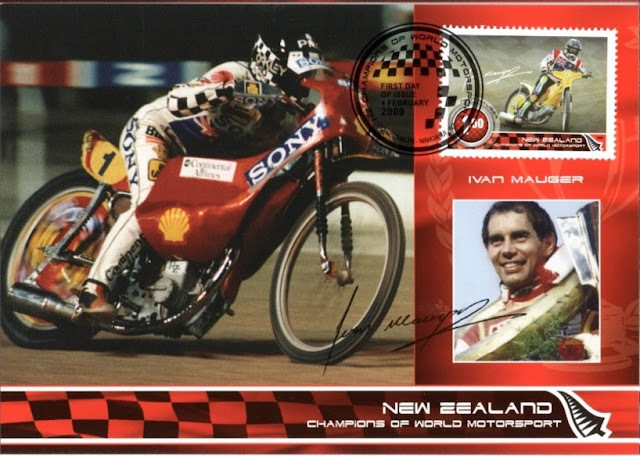 $1.50 'Ivan Mauger' Maxi Card. 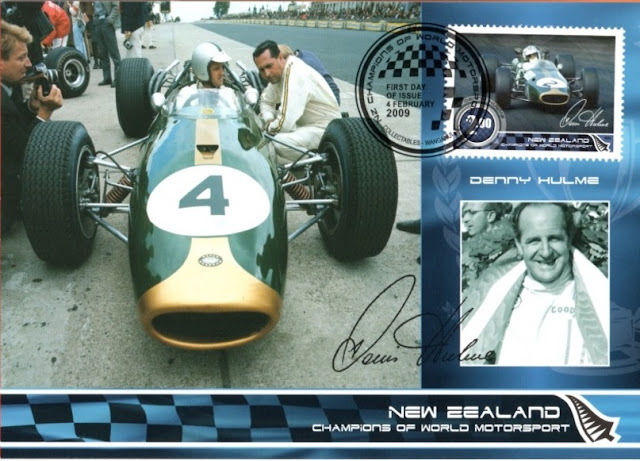 $2.00 'Denny Hulme' Maxi Card. 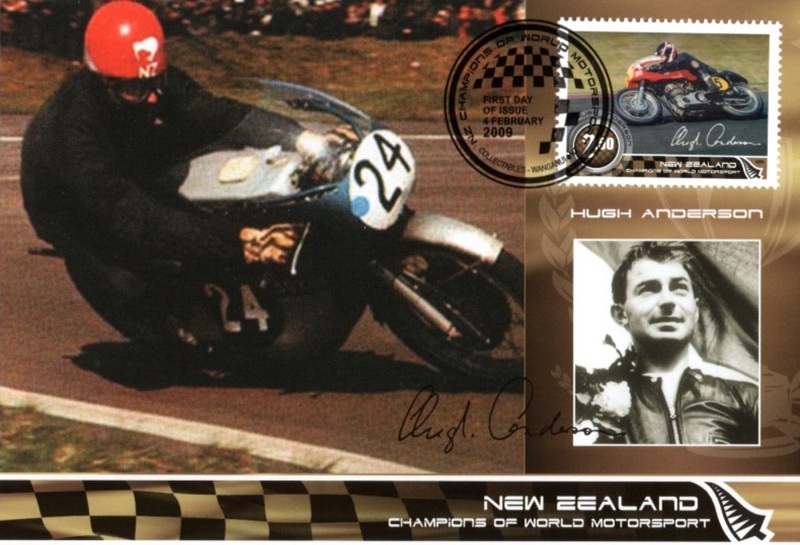 $2.50 'Hugh Anderson' Maxi Card.